Re: Kennywood 2018 - Log Jammer Closing! I think they'll let it stew for awhile to be honest. It's an RMC Raptor with a capacity of 50 guests per hour. It also looks like there is going to be some kind of announcement on Independence Day. While this is nice, I think it's just enthusiast bait. It's got wood, launches, suspended, trex, footers, and a bunch of random words lol. It also has "tallest inversion" and "airtime" .. interesting, if that's the case! Does it actually have "airtime"
Seems like the words correspond to the numbers they scratched off. For example, 197 goes with "tallest inversion," 3 goes with "launches," etc. Maybe? I only glanced at the search for a second. I'd start by disregarding anything that doesn't seem to go with a statistic, like "wood" for example. So far I see Height, Tallest Inversion, Trains, Passengers, Suspended, Launches, Length, T-Rex, Wood, Steel, Records, Footers, Lift, LIMs and Million Dollars... It's just a bunch of mumbo jumbo, some of it probably corresponds, some of it is just fake. The contest ended yesterday. An announcement is due this Thursday in a press conference. So what are your guesses? I'm gonna say RMC TRex. When they say "designer" it makes me think Schilke rather than bringing in someone foreign. TRex being in the word search seems like too much of a coincidence...as I read someone mention, probably not the best idea to use a brand name like that if you're going with another product. Then we all know of the original layout, which looked to be 100% legit. Clearly they were already working with RMC...and if there was indeed an issue of the ground not working for a wooden structure (could be possible, though I'm not sure why that would be the case) then why switch manufacturers at that point if the one you're with has an attractive steel option? Could be completely off-base lol but I think it's plausible based on those things, even though Intamin was the original post-RMC woodie rumor. Here We Go to Steelers Country! 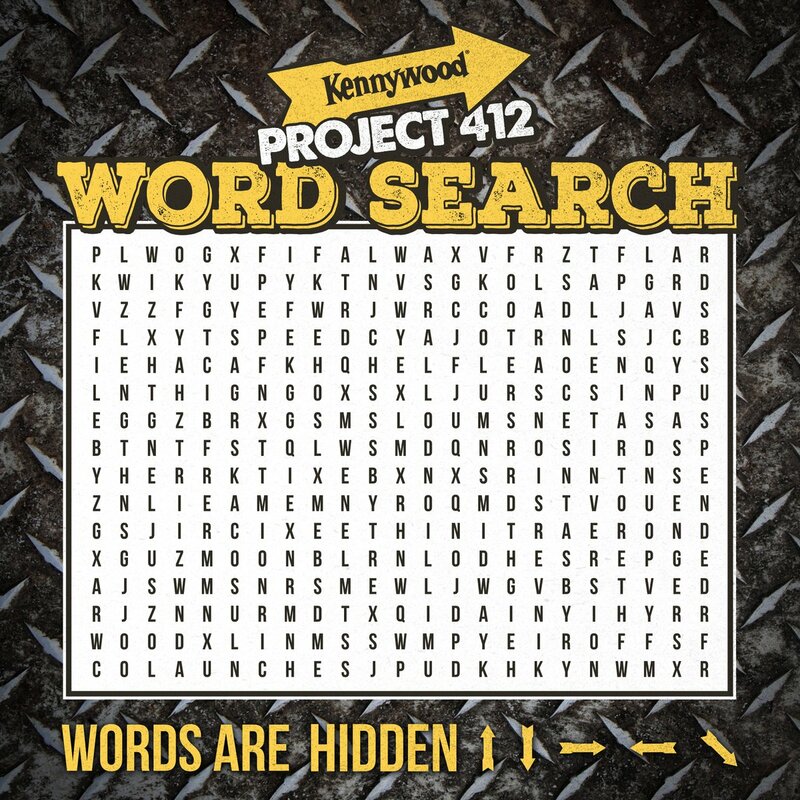 Kennywood Park and the Pittsburgh Steelers have teamed up to for a historic collaboration. 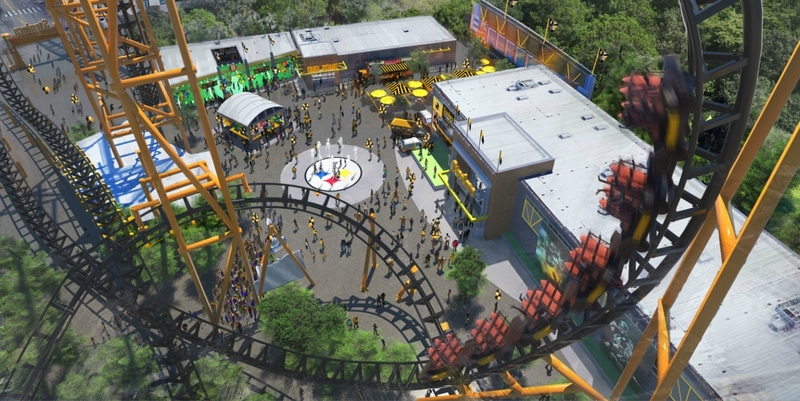 Coming to Kennywood in 2019, Steelers Country is a one-of-a-kind themed land that celebrates the hard-hitting heroics of the players, but with a unique twist. The park experience turns its attention to the fans, putting them at the center of the action! Exclusive merchandise, skill games, and food locations - including a unique tailgating experience - create the feeling of being at the stadium. The new Steelers Country will be anchored by the record-breaking roller coaster, The Steel Curtain. With Steelers Country, Kennywood and the Steelers are honoring the greatness of the past and looking toward the future of the park, the team, the fans, and the city of Pittsburgh. Throughout Steelers Country, fans will join in on familiar game moments: bursting through the area’s entry tunnel, seeing how they measure up in practice drills, perfecting their touchdown dances, and checking scores and highlights on a giant video screen. Kennywood and the Pittsburgh Steelers are proud to introduce The Steel Curtain! At a maximum height of 220 feet, the colossal steel structure of the coaster will serve as a landmark addition to the park and a high-energy entry point welcoming guests to Steelers Country. Designed by S&S Sansei Technologies, The Steel Curtain will set three new records: a Pennsylvania state record (tallest roller coaster), a North American record (most inversions), and a world record (tallest inversion). Bit of a strange name choice though! ill be very excited to see how this comes together, i think they made a great choice as long as this thing is smooth and we dont see flat steel being used as spacers between the track and supports. Kennywood 2015 - Return of the Turnpike?